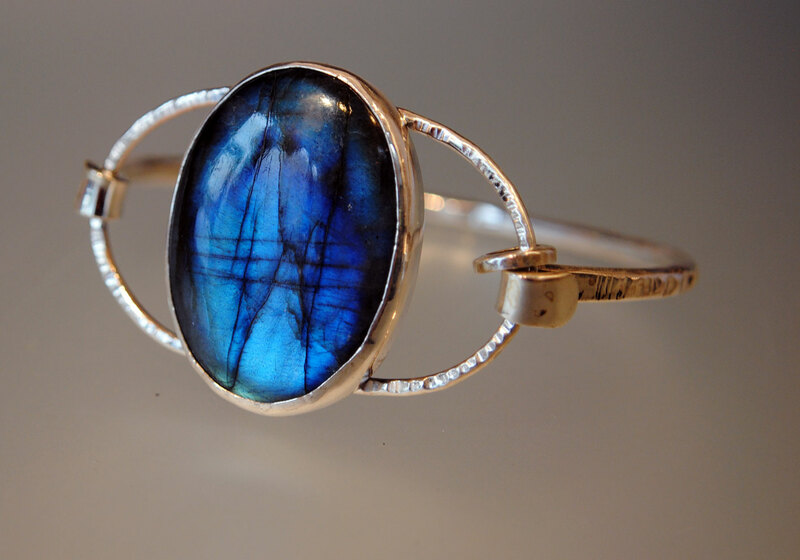 This beautiful blue stone is a quite rare, semi-precious stone that has been prized since ancient days for its deep blue color. Originating mostly in Afghanistan, deposits are also found in Italy, Argentina and the USA. A lighter variety is found in Chile. 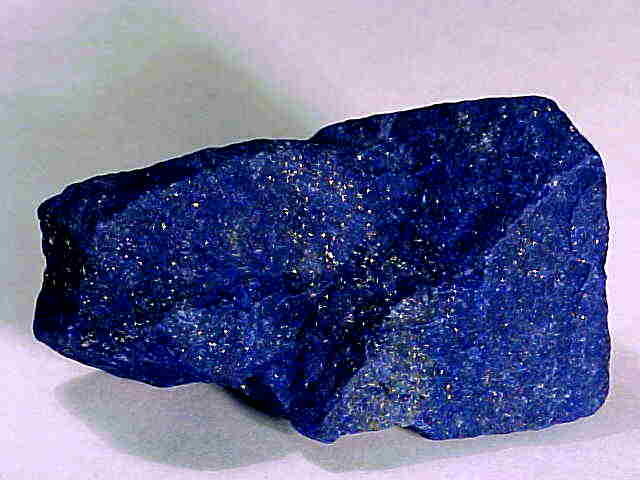 Lazurite is the mineral responsible for the intense blue color of Lapis Lazuli, which often includes pyrite and calcite as well. ANCIENT CURES: Ancient cultures believed that Lapis would alleviate the symptoms of a venomous snake bite, cure eye disease, and depression. While researching for this article, I learned something totally new! For the longest time, I was under the impression that my beautiful dendritic quartz stones were marked with impressions of fossilized plant material. That is what I had been told by the gem dealer who first sold me the stone. 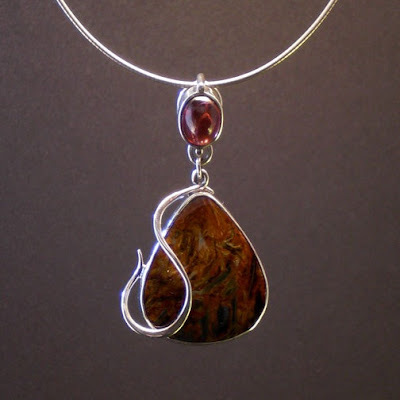 Even the word dendrite comes from the Greek “dendron” meaning “tree.” I continued buying the stone because it has such beautiful patterns, and it is a good, hearty stone. It is not easily scratched or broken. quartz) I found out that I was totally wrong about how those beautiful patterns got in the stone! My apologies for any previous mis-information on the subject. 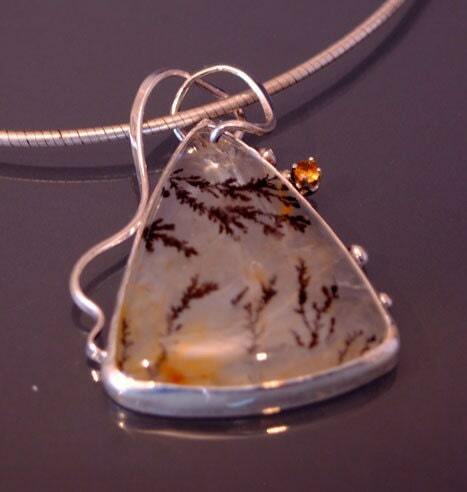 As it turns out, the patterns in dendritic quartz are part of a fascinating geological process. Where a deposit of quartz in the ground may have tiny fissures running through it, mineral solutions flow through the rock fissures. Hot mineral solutions including manganese and iron are percolating through the quartz base, and when cooled quickly, they are solidified and frozen in time! I feel glad to have that cleared up. I learn something new every day. Do you have any favorite stones with fun patterns? Let me know, and I'll try to find out how the cool patterns got there! Happy New Year! 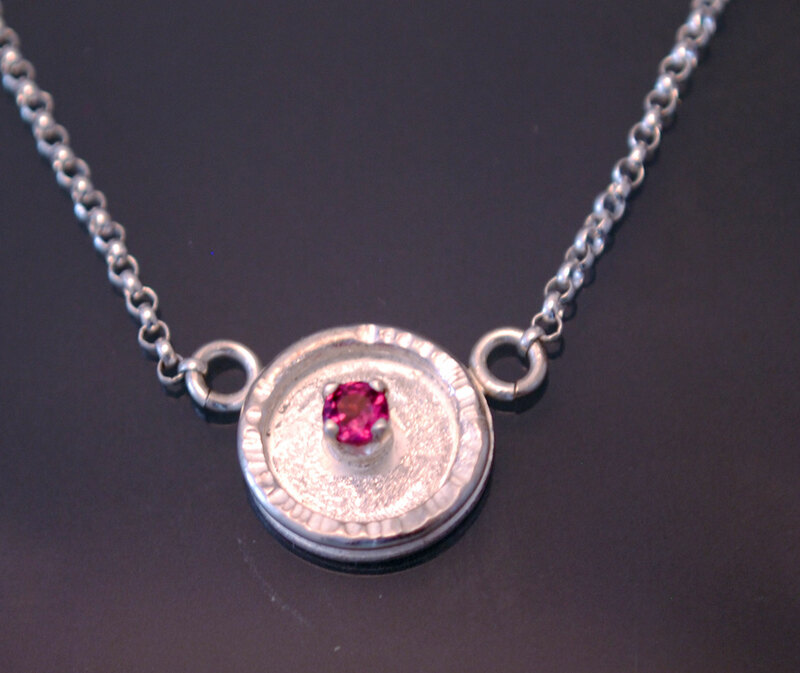 With a new year comes a new month, and this month’s beautiful birthstone is GARNET. Typically a red/brown color, garnet can be found in ANY color except for blue. Personally, one of my favorite garnet hues is a lovely magenta color known as Rhodolite garnet (see picture at the end of the blog post.) Found in abundance in Africa, garnet is also harvested in North and South America as well as in various European countries. Derived from the Latin word for pomegranite, garnet has been used for centuries for its beauty but also for its supposed “lethal” nature. North American Indians used red garnets as arrowheads, believing that they would seek blood and inflict a deadlier wound, while as recently as 1892 the Hunzas of Kasmir used garnets as bullets to fight the British believing that garnets were deadlier than lead. Also used frequently by early Christians to symbolize Christ’s sacrifice, and even earlier as a symbol by one of the 12 tribes of Israel, the garnet’s roots in history are as deep as any gemstone. A beautiful stone to highlight during these recently SNOWY, WHITE days of another northeastern US winter! Happy birthday to all garnet babies out there!! As you may have guessed from my new series of blog posts "Rock Review" – I’m a bit of a nerd! I LOVE to know history and fun details about the materials I work with. It makes creating and designing with these incredible, naturally forming materials even more exciting! So, from time-to-time, I plan to enlighten myself (and hopefully my readers) with a bit of detailed research about ROCKS. Labrodorite is best known for its “shiller effect," or in layman’s terms its iridescent colors reflected at different angles. The scattering of light causes this effect from the thin layers in the stone, formed during the earth’s cooling process. This why the labordorite is so unique – depending on the angle from which it is viewed, a brilliant flash of different colors can be seen! 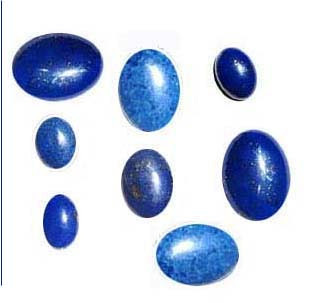 In addition to its country of origin, GEM QUAILITY labordorite can be found in Madagascar, Finland, Russia and most notably in India. 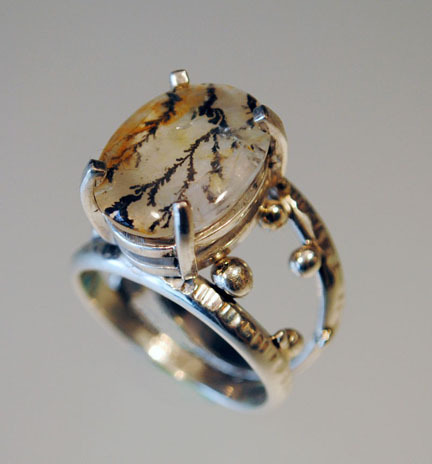 Aside from its enchanting beauty, this stone also comes with an Eskimo legend! According to generations of Eskimo legend, labordorite holds the Northern Lights captive. A powerful Eskimo warrior found the Northern Lights captive in this rock and freed some of them with his spear. Not all of the lights escaped and that is why Labordorite displays an array beautiful colors today. A little fascinating fact and a little folklore legend makes for a great ROCK to REVIEW. Till next time!